1906--After the Great Earthquake a new ball park, Recreation Park was built in the Mission on Valencia between 14th and 15th streets. A section of the bleachers, roped off with chicken wire became known as the "booze cage." Admission price entitled the patron to a choice of either a sandwich or a shot of whiskey. Spectators who frequented the "cage" were said to be knowledgeable, loud and abusive. The team name was changed to the San Francisco Seals. The Seals featured a "reversed battery" of Nick Williams and Orval Overall--one would pitch, the other catch, then the roles would reverse for the following game. Overall eventually became a 20-game winner in the National League. 1909--San Francisco Seals win their first pennant. 1910--Seal's player Ping Bodie hits 30 home runs to lead all of baseball. 1914--Ewing Field becomes the new home of the San Francisco Seals, intended to be the finest minor league park to date, located one block south of Geary at Masonic. San Francisco Chronicle said, "The only possible drawback is the possibility of meeting bad weather conditions." Indeed, the new park was a fiasco. 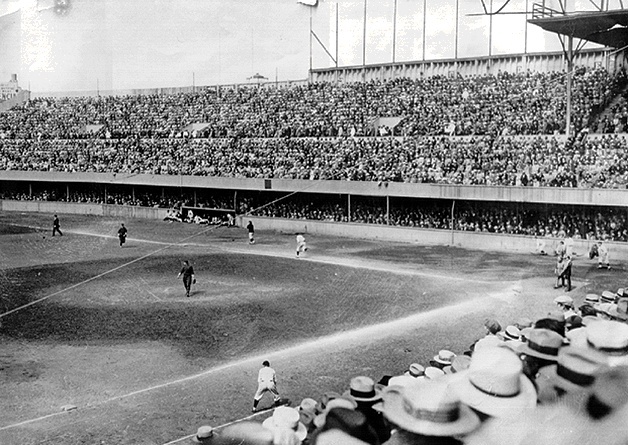 The club returned to Old Rec Park in 1915. 1915--The Seals win pennants in 1915 and 1917 with the help of Harry Heilmann, who would later become a Hall of Famer with the Detroit Tigers. He is the only Bay Area player to hit .400 in the Major Leagues. 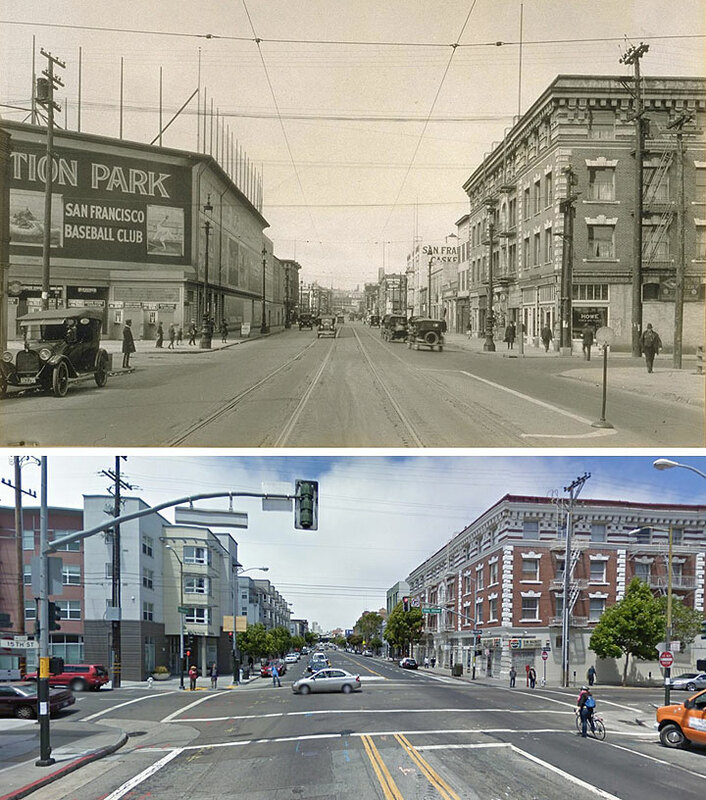 Big Rec at corner of 15th and Valencia, 1923, and the same corner in 2009. 1924--Former Seals player Jimmy O'Connell is banned from the Major Leagues for attempting to fix a (New York) Giants game. American League President Ban Johnson accuses the Pacific Coast League of rampant corruption, which is hotly denied by PCL President Harry Williams. East Bay Yesterday podcast on the history of east bay baseball before the Oakland A's.